Dresslily will never stop surprising me. Yes, I know, I write a lot about this brand..but is or not the perfect quality/price balance? I´m getting sidetracked. 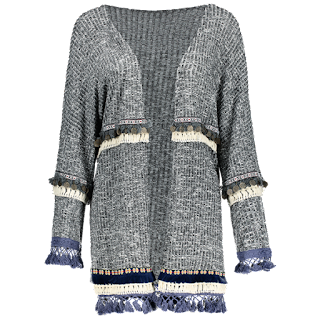 What I wanted to show you is this lovely bohemian cardigan. For all those days that you don´t feel like wearing anything special and you choose a plain colour outfit its great to have in the wardrobe a cardigan like this one which will add the touch of style. 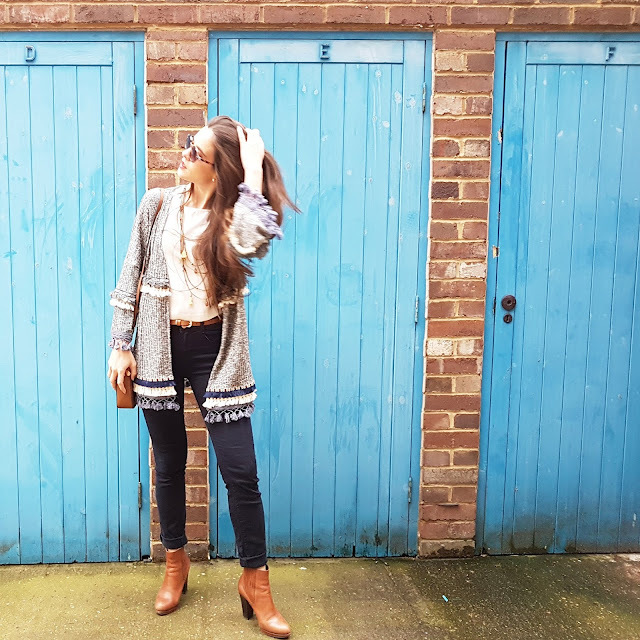 Tassels, fringe,embroidery...all in one?Yes, of course. 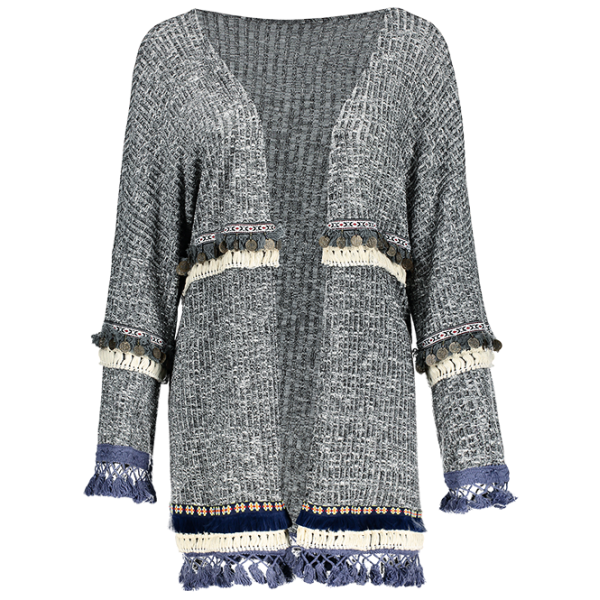 Easily done with this blue and grey cardigan that you will love.